One of the most drastic changes you’ll experience around the house is when you send your kid off to college. For the last 18 years, you dealt with them directly nearly every day. There were a lot of chores associated with this task but also a lot of fun and love as well. Now that you’ve done your part, they are ready to take on the world. But that leaves you with an empty house. The main culprit for clutter in any home is the closets. This is where we keep the things were supposed to be using but it’s also where we shove in a lot of rubbish to get it out of sight. You might discover things in your closet that you had no idea you still had. They could also be some wonderful photos tucked in a box that belong in a frame. Then there all the outfits that need to be gone through. You may discover by sorting through every hanger that you’ve got a lot of stuff you would never wear again. Nothing wrong with getting rid of that but it doesn’t have to be tossed into the trash. Instead, give it to junk King Seattle. Though make sure it gets dropped off at a nearby charity where it can be put to use once more. Your basement becomes a storage depository for a lot of big items like sofas, recliners, futons and even the occasional pool table. Instead of making your basement look like a hodgepodge of castoffs, you can call on Junk King Seattle to bring up all that unwanted furniture. The two-man crew who will be assigned to your task is going to do all the lifting and loading. It doesn’t matter how many times they have to climb the stairs. Although focused on is getting the things you want gone onto the back of the truck. Once Junk King Seattle has removed all the unwanted clutter, you can set about organizing all those spaces once again. You might even discover you have a whole new room to re-create. 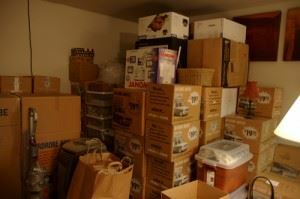 Organizing your home with Junk King Seattle is the perfect remedy for empty nest syndrome. This entry was posted in Seattle Junk Removal and tagged clutter, emptiness, Junk King, rubbish on September 1, 2017 by Junk King. Last updated September 1, 2017 .